The Spenco Yumi Sandal duplicates the features of the Total Support Insole in a slip-on sandal.It features advanced support for the arch and heel, along with improved motion control to reduce pronation and supination. 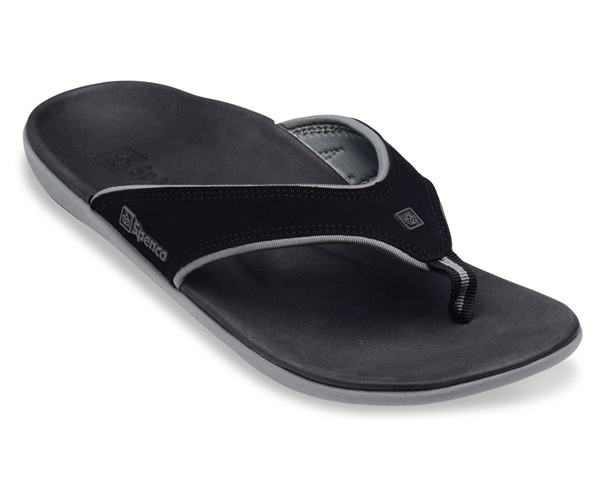 Great for either indoor or outdoor wear, whenever sandals may be worn. Carbon/Pewter (black) and Straw/Java/Cork (brown) Yumi sandals for men are in stock. Other colors and styles available for special orders. Available in men`s sizes 7-14 (whole sizes only).